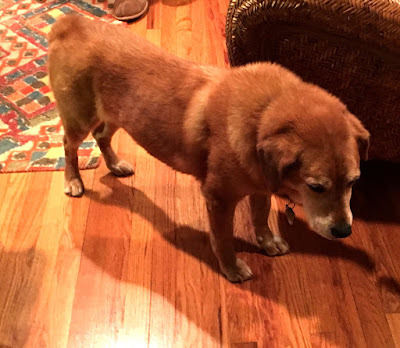 Doyle is a sweet little mutt who has been with the same family for the past 12 years since being adopted from a shelter. Unfortunately, due to a change in lifestyle for his family, they are in search of a loving new family that will welcome Doyle with open arms. This Chow/Lab/Beagle mix is about 50 pounds and has a whole lot of love to give. He's very well behaved around children and adults alike. Doyle is never happier than when he's getting a nice belly rub or laying at your feet basking in the sun. Doyle is alright to hold down the fort while you're away and is perfectly content to lay and listen to the radio. He also doubles as a great watch dog, barking when someone comes to the door but instantly becoming their best friend once they're inside. If you think that Doyle would be a good companion for you, contact his current family. This lovable little guy comes complete with his own "Doyle" bed to help him feel at home right away. i like thse website and blogsThe role of party organizers is quite important and toronto magician they all are playing a good role in the market. For all kind of events as well as occasions there are many professional party planners coming up who are all known to make the event special in all ways. Here is the website where you can get to know more about photo booth rental Toronto. Top 10 Reasons to Do the Muttster Mash!